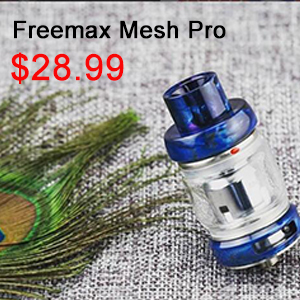 The CoilART DPRO RDA, a 24mm rebuildable dripping atomizer, features a contemporary build deck design constructed out of the pinnacle of high quality materials. 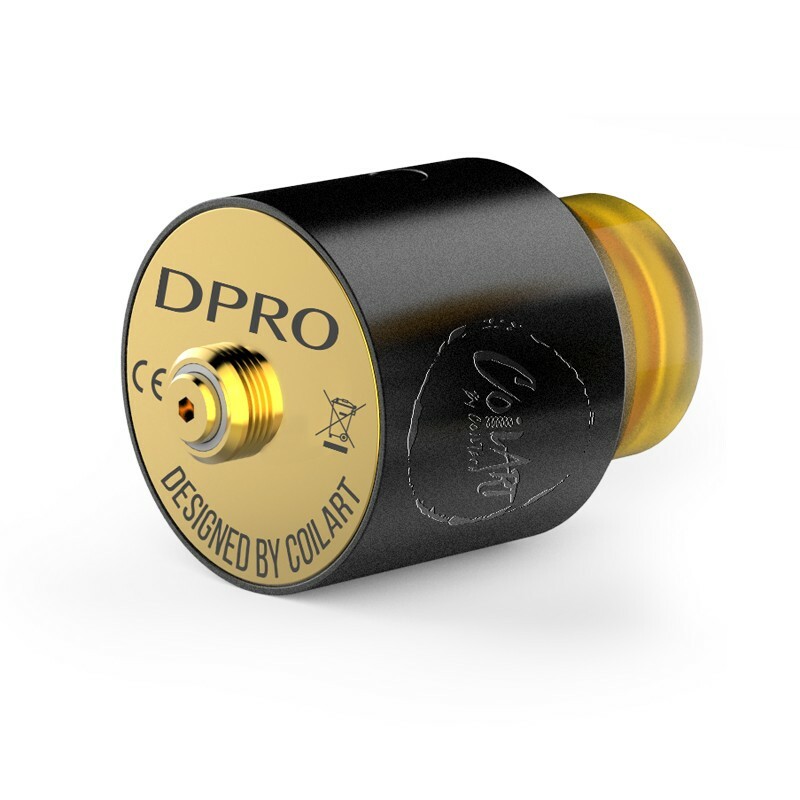 The CoilART DPRO RDA sets users up with a quad terminal postless build deck, an intuitive airflow configuration system, a 24k gold plated deck with PEEK insulators, and a bottom feeding conversion kit, making the CoilART DPRO RDA an extremely versatile and open foundation device. The “floor” of the build deck consists of four terminal holes, measuring at 2.5mm in diameter each, which provides a large amount of empty space for users to experiment and construct many different coil structures. 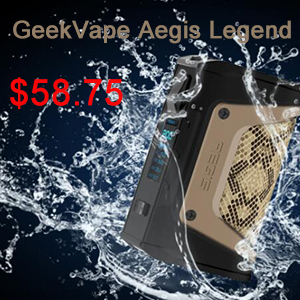 The build deck also makes great use of the 24k gold plating and PEEK insulators, which increase terminal conductivity and the device’s resistance to high temperatures, resulting in hard hitting coils and an increased longevity of the unit. 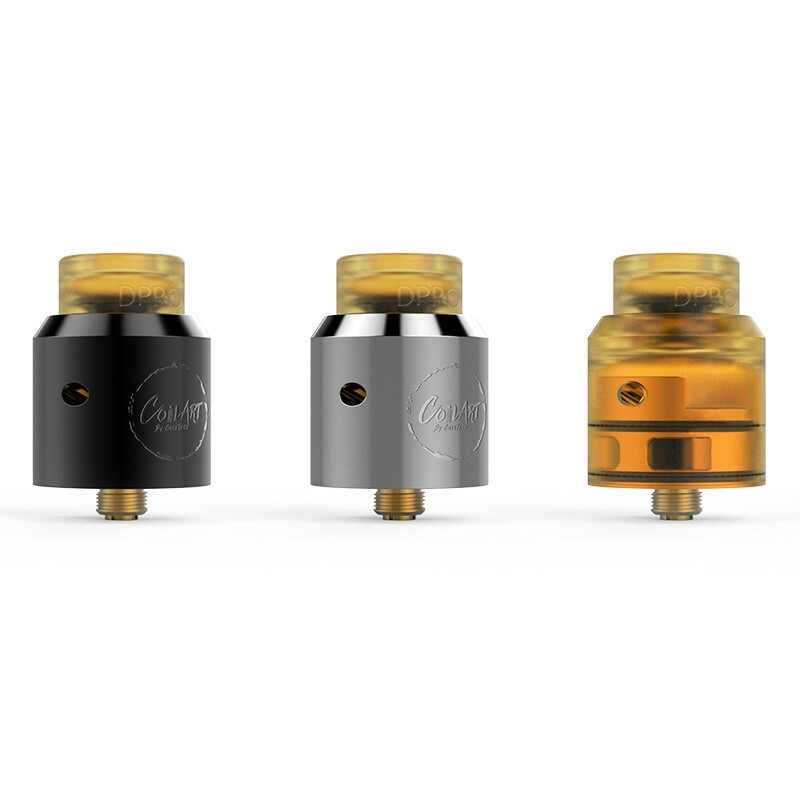 The airflow of the CoilART DPRO RDA streams through two airflow posts where each contains a 4.5mm diameter air hole to provide maximum direct air-to-coil airflow coverage around the coils. 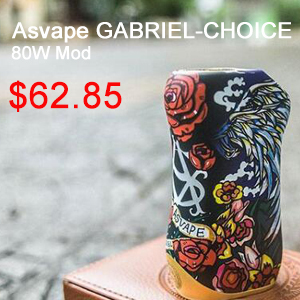 Topped off with an 8mm widebore dip tip, the material in which the drip tip is constructed out of is designed to resist high amounts of heat for seamless comfort when in use. 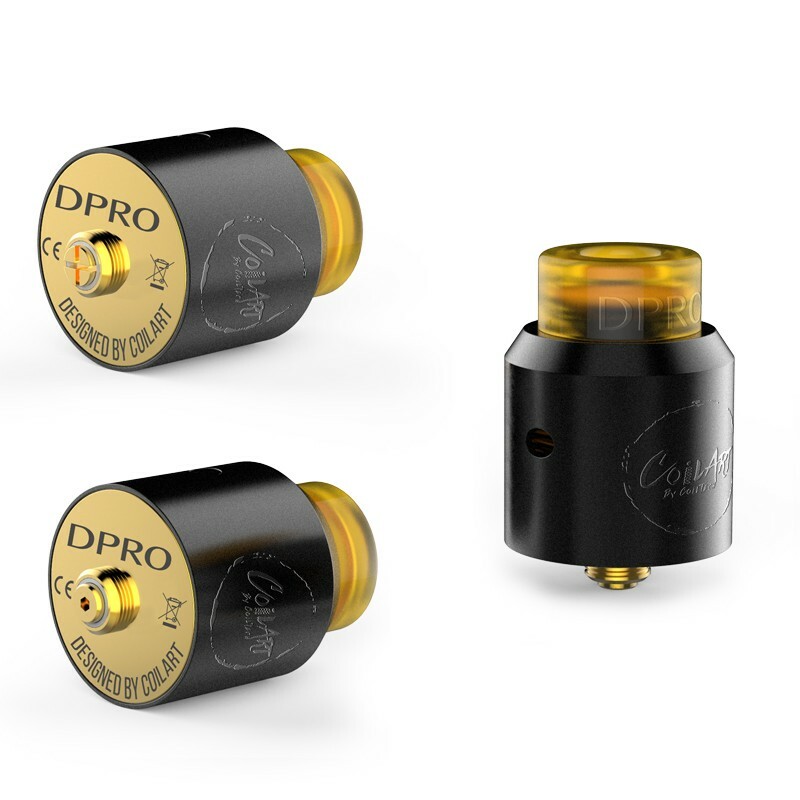 Equipped with a standard 510 pin right out of the box, the DPRO also includes a bottom feeding conversion kit to turn the CoilART DPRO RDA from a traditional RDA to a bottom feeding “squonk” device. 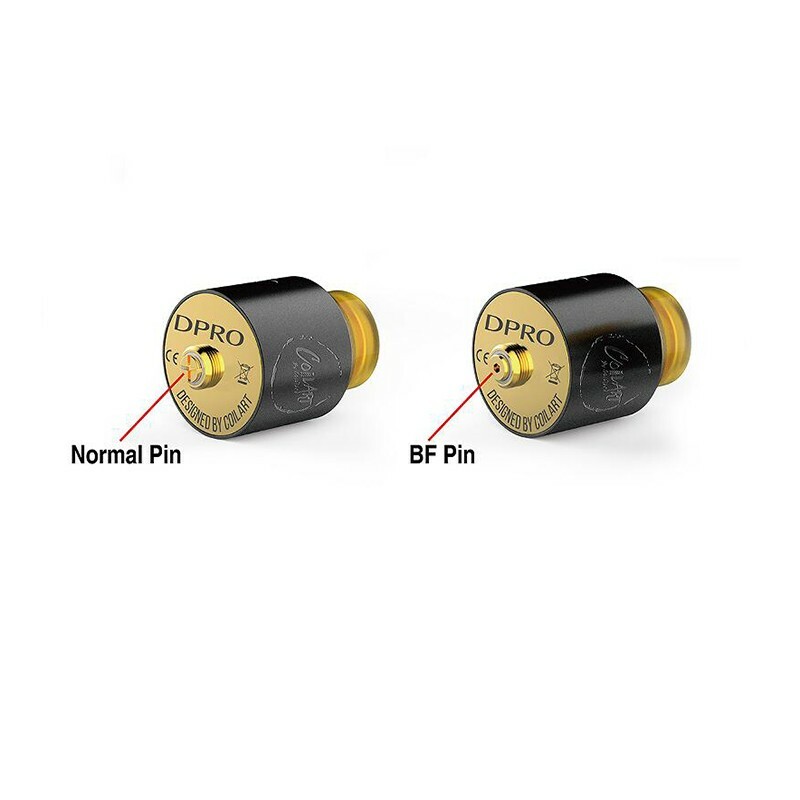 The “Ultem” color option includes the DPRO’s signature ULTEM drip tip and extends this material not only to the drip tip, but the whole barrel of the atomizer which allows users to gain a slight view into the build deck and a greater resistance to wear and tear. 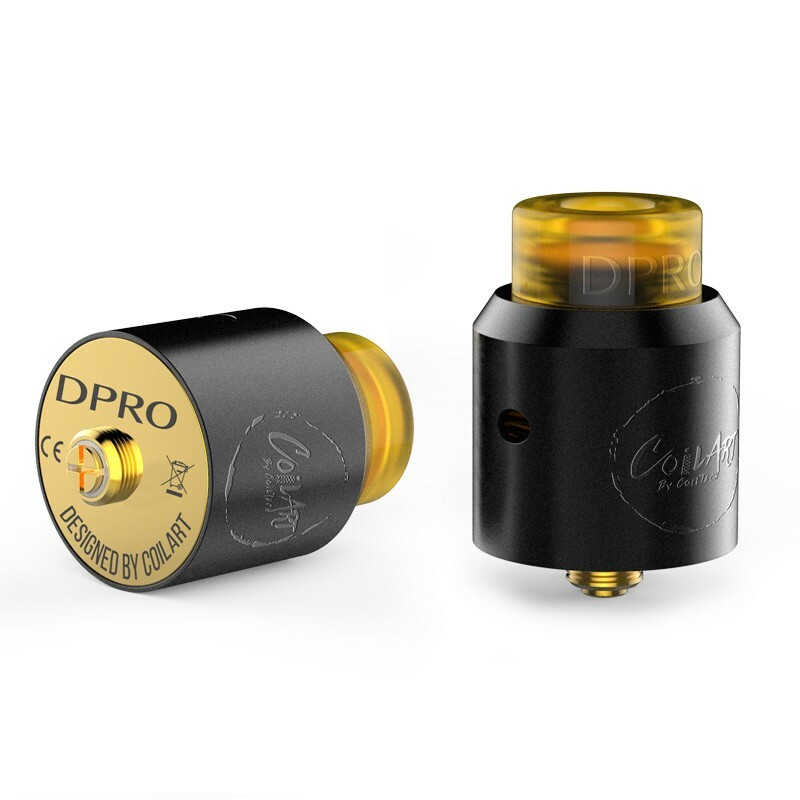 The CoilART DPRO RDA is an outstanding RDA for anyone looking for something a little more flavor based! 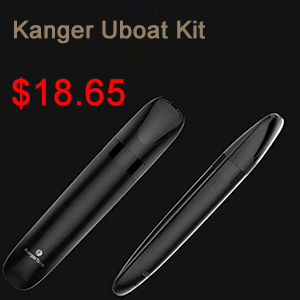 If you are interested in it. 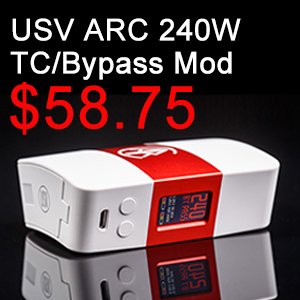 You can preorder it on a Urvapin. 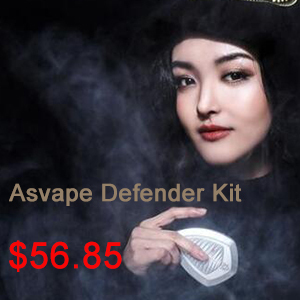 You will get the best service with good price.